Javier Tapia is an anthropologist and has experience working with Latino populations in various U.S. cities. He teaches classes related to global education, U.S.-Mexico relations, and Latino studies. 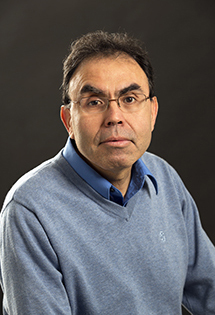 Tapia's research topics are globalization, Mexican Immigration, and transnational communities. His studies provide a deeper understanding of the increasing interdependence between Mexico and the U.S. He is currently working on partnership projects in education and health between Wisconsin and Mexico. Tapia served previously on the faculties of the University of Texas at San Antonio and the University of Pennsylvania. He earned M.A. and Ph.D. degrees in anthropology and bilingual education from the University of Arizona.